Competing in the talent market calls for calibre, consistency and creativity. HR departments and recruitment firms which exhibit these qualities will be recognised at the Asia Recruitment Awards, the only regional awards show which recognises and celebrates Asia’s talent acquisition and recruitment champions. They will be named by a set of judges who are senior HR executives from well-respected international companies across Asia Pacific, such as Canon, DHL, Diesel Pacific, Ericsson and Pfizer. “Resources are accessible to many HR professionals so what can only differentiate recruitment campaigns and talent processes from one another is strategy and what can prove their success is results,” said Aditi Sharma Kalra, regional editor of Human Resources magazine. 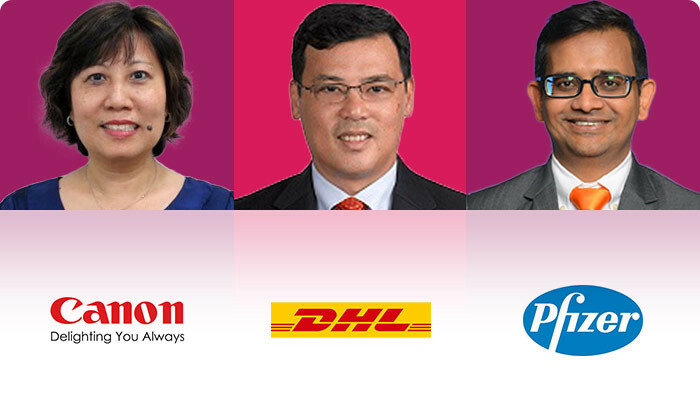 Here are some of the latest additions to the Asia Recruitment Awards 2016 jury. Julia Cheah, human resources director at Canon, is admired for her expertise in succession planning, HR transformation, HR policies, strategic HR and industrial relations. She held various HR leadership roles in the past, including head of HR at SGL Carbon, assistant general manager at Yeo Hiap Seng, HR manager at Garden International School, and HR manager at Carrier International. Yeo Meng Hin is widely known as an experienced HR generalist with vast experience in industrial relations, compensation & rewards management and change management. Yeo is the current senior vice president of human resources at DHL. His exposure to various industries including hospitality, fast food, professional services, property, financial services, retail, financial advisory and logistics has helped shape his leadership capabilities. Yeo holds a Master of Business Administration from University of Phoenix, a Bachelor of Arts (Economics) from the National University of Singapore and a Graduate Diploma in Personnel Management. Dynamic and motivating are among the top qualities usually associated with Pamela Chai, head of human resources at Diesel Pacific. With over 15 years of experience in HR, Chai excels in leading diverse teams in a face-paced environment. Her credibility is also defined by her functional and technical skills and extensive experience in strategic planning, change management, new department set-up/development and project management with a strong focus in Asia Pacific region. Her other areas of expertise are change management, employee engagement, employee relations, executive search, organisational development, performance management and talent acquisition. Tristram Gray is instrumental to the growth and accomplishments of Ericsson’s people strategy in South East Asia and Oceania. As the company’s vice president of human resources, Gray supervises talent acquisition, talent management, leadership and organisational capability, workforce planning and remuneration and rewards. Gray holds a Bachelor of Business, Double Major in Industrial Relations and Human Resource Management from Edith Cowan University, Western Australia. For Shazmi Ali, a successful career in any field necessitates integrity, people skills and strong commercial knowledge. Aside from being the current director of human resources at Pfizer, Ali is a sought-after speaker in the HR scene in Asia. He carries over 16 years of professional experience, five years in commercial and 11 in HR. Prior to working for Pfizer, Ali served as the regional human resource leader at CAE Inc, responsible for 10 countries in the Asia Pacific region. Some of the other companies represented on the Asia Recruitment Awards 2016 jury are DHL, Legoland, Nestlé, Phzer, Singtel, Starbucks, Volvo and many more. All judges, such as Tony Reynolds, head of talent acquisition and workforce planning at Cathay Pacific Airways, are director or vice president level HR professionals with regional responsibility. Middle Eastern cities Dubai (UAE) and Tel Aviv (Israel) are Asia's most expensive cities to relocate to, ranked first and ninth gl..